We provide set charges no matter how long it takes and work can be carried out at a time convenient to you which includes evenings and weekends. No need to take time off work waiting for an engineer to visit. If your PC issue is not listed here, contact us for a chat who will be happy to discuss your problem with you. 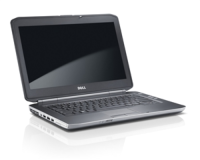 GYLLY Computer Services offers a range of refurbished high specification laptops to suit your needs and budget. Prices range from as little as £100. Included into the price, your computer will be setup onto your home network with Operating System fully configured and updated with the latest Microsoft Security patches. We can also pre install the latest software applications including AVG or ESET Anti-virus software, Microsoft Office, and many others. We can also supply additional software as required. Quotes are available upon request.